Over the past several months, there has been a poke (pronounced poh-kay) craze sweeping across the country. Poke is a traditional Hawaiian dish, typically made with ahi (not “ahi tuna”, friends – that just means “tuna tuna”), soy sauce (locals call it “shoyu”), seaweed, and other seasonings. So odds are, if you haven’t had poke in Hawaii, you’ve had some weird version of poke with avocado or hot Cheeto crumbs (yes, I’ve seen poke with both of these). To help you out in your search for some authentic poke, here are four places to get the best poke on Oahu, Hawaii. Paina Café is definitely one of my favorite places on Oahu to get poke, especially at one of their Ala Moana locations. Unlike many other places on this list, Paina Café is semi-customizable with their poke bowls. While the poke itself is already marinated, you can choose to add custom toppings to your bowl. They have a ton of options, including natto (fermented beans), kim chee, and furikake (a Japanese dried seaweed mixture). I am very much a fan of the tempura flakes as a topping for a little crunch. Tanioka’s is a local favorite for poke. 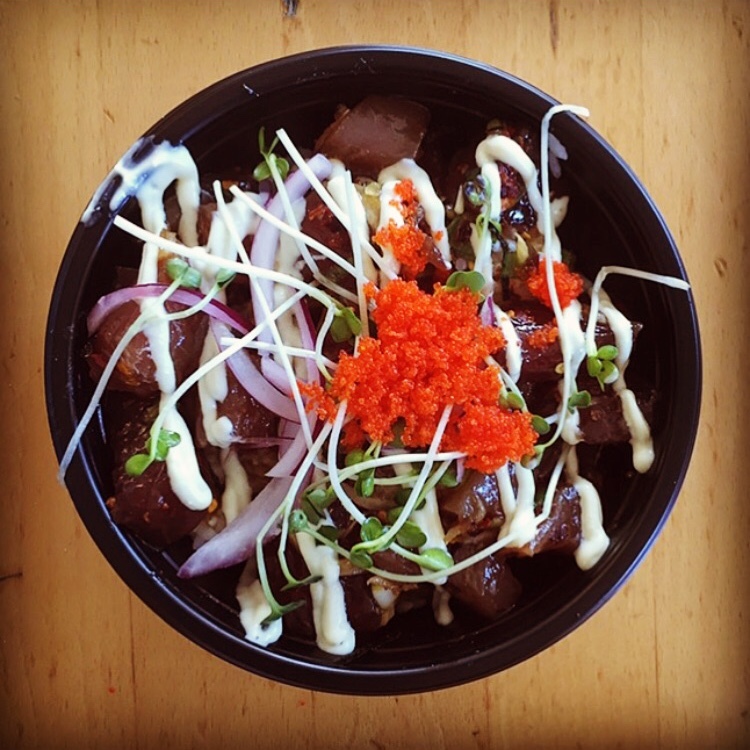 Including the typical ahi-based poke bowls, they also have tako (octopus) poke, clam poke, and even tofu poke. Be sure to check their hours before you head over, because they usually do close quite early. Ono Poke is a poke place known for its secret marinade, and all of their poke options are made with some variation of this marinade. Just make note that this is a take-out place, so perhaps take it to a nearby beach. Not Waikiki beach though – I’ve made it pretty clear that this is a tourist trap that I am not a fan of. Do a little exploring and find a different one :). Quite a few people would argue with me for putting Foodland on this list, but Foodland poke is all about convenience, while still having authentic poke. While every other recommendation on this list has three locations or less, Foodland has locations across the Hawaiian Islands – and they still serve some quality bowls for a reasonable price. Because Foodland is actually a grocery store, the process doesn’t work in quite the way that you would expect. Usually, they’ll have a poke section in the back of the store, where you’ll pick the size of your bowl. There, you’ll get your poke bowl, but you’ll go to the register at the front of the store to pay. 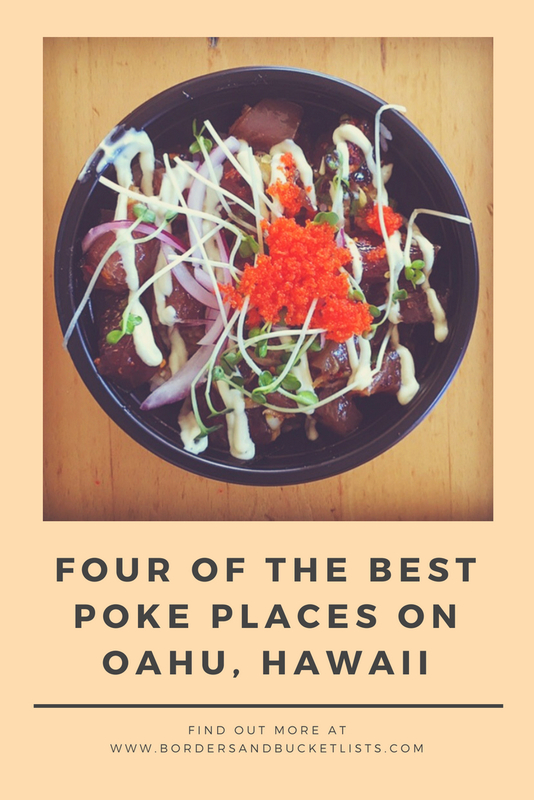 Any other places that deserve to be on this list of the best poke on Oahu? Write about them in the comments! Looking for more Hawaii food recommendations? Check out Part 1 and Part 2 of my Hawaii food bucket list (from a local)! Do you think this post gave you some good tips? Pin it for later! 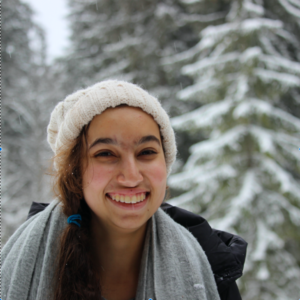 It’s great to hear travel advise from a more lokal person. Glad you enjoyed it! I have a lot of Hawaii travel advice if you feel like snooping around :). So, never been to Hawaii ( but i will) and never had a Poke, i think it’s time to do both! Probably i’ll have to try to find it here in Europe at first, Hawaiian cuisine it’s becoming a trend lately, of course can’t be the same as the original but at least I can fill the gap! Anyway hope to see Hawaii as soon as possible! I heard Hawaiian cuisine is trending! I tried poke a couple times outside of Hawaii, and it wasn’t quite up to par. Hopefully you’ll have a chance to try it in the islands too! Though i am a vegan your pic and your love towards it made me want to taste it. LOL glad to know that my writing is so persuasive. Ooh for sure! The real deal is the best :). Though i dont eat poke but I loved the description of the Hawaiian dishes. I am feeling hungry now! Thanks for a wonderful read. Of course! Thanks for taking the time to read it :). Me too! I’m always looking to try a bite of local cuisines! Aw man! It’s usually just fish, but I’ve seen it done with cooked shrimp and octopus before, if that works for ya. Yeah, it originated in Hawaii!! Wooow!! Looks yummy hehe, O like poke bowls a lot! Veggies and fish and delicous flavors! Thanks for the advice. We will definitely refer to this next time we go back to Oahu. Glad my tips were helpful :). Pokes look delicious! I wish I could try some but I’m allergic to raw fish so it’s always a bit of a faff for me to order one. Oh no! I’ve also seen it done with cooked shrimp or octopus, if that works for ya. Definitely worth checking out when we get to Hawaii! It’s been ages since we were there! For sure! Glad I could add something to your Hawaii bucket list! Previous PostPrevious I Found a SoCal Waterfall WITH WATER!